Established by Fletcher and Nell Morris to encourage high levels of achievement in piano performance, winners of the competition receive scholarship awards to study music at Samford. November 8, 7:30 p.m. – 9 p.m. This piano festival was established by Fletcher and Nell Morris to encourage high levels of achievement in piano performance. Winners of the competition receive scholarship awards to be used toward music degree study at Samford. Master Class with Joanne Haroutounian 1:00 p.m.
Jovanni-Rey de Pedro Recital 7:30 p.m.
Joanne Haroutounian oversees the piano pedagogy program at George Mason University and presents workshops internationally in pedagogy, musical talent, and gifted/talented arts. Winners will be declared. Each winner will receive a scholarship award to be used toward tuition and academic fees for music degree study at Samford University. Each winner also will receive an engraved medal. Undergraduate degrees offered in the Division of Music at Samford include the bachelor of music degree with majors in piano performance, piano performance with emphasis in piano pedagogy, organ performance, voice performance, instrumental performance (strings, woodwinds, brass or percussion), music and worship, and composition; the bachelor of music education in vocal/choral or instrumental music; the bachelor of arts in music; and the bachelor of science in music. The master of music degree is offered with majors in piano performance and pedagogy, vocal performance, church music, and music education. 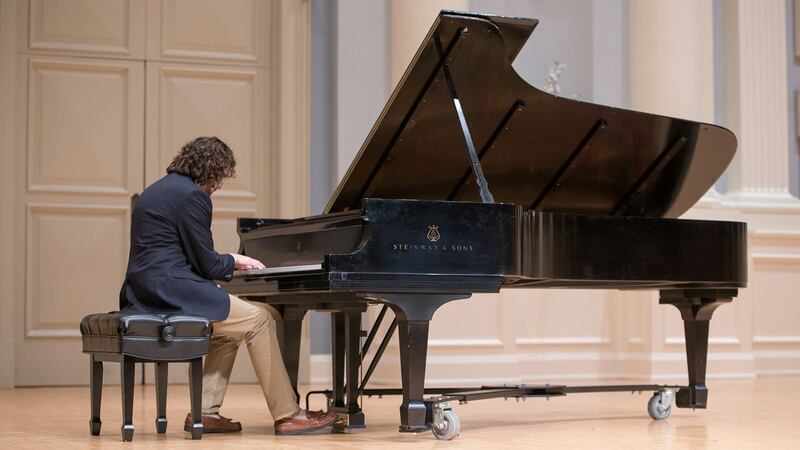 Piano students at Samford regularly have been among the winners of annual performance competitions sponsored by the Alabama Federation of Music Clubs, the Alabama Music Teachers Association, Music teachers National Association and the Birmingham Music Club. Graduates in piano have pursued advanced study at many of the leading graduate schools and conservatories around the country. Piano majors receive instruction in performance from full-time members of the piano faculty: Kathryn Fouse and Ronald Shinn.